CVC Word/Picture Clip Cards provide inviting math centers for learners to practice reading and decoding CVC words. There are 104 clothespin clip cards with a CVC Word and a choice of three CVC pictures printed on each card. Learners read the word and clip a clothespin to the corresponding picture. You may use all the cards, select the cards that address specific skills for your lesson, or select the cards that best meet your learners’ needs. Print, laminate, and cut out the clothespin clip cards. You will need 104 clothespins if you use all the cards at once. Learners read the CVC word and clip a clothespin on the correct picture or they can use dry erase markers to circle the correct picture. You may opt to make these cards self-checking by writing the answer on the back or marking a dot on the back at the correct spot. You may place the cards in a dollar store photo album and use dry erase markers to make a write-on/wipe-off activity. 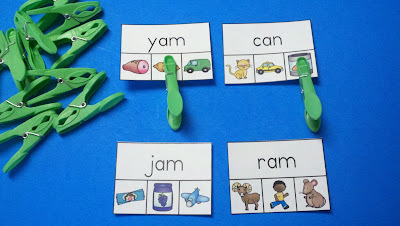 CVC Word/Picture Clip Cards are great for early finishers. They also work well as a take home activity. Just put some cards and clips in a zippered binder pouch or baggie for easy transport. 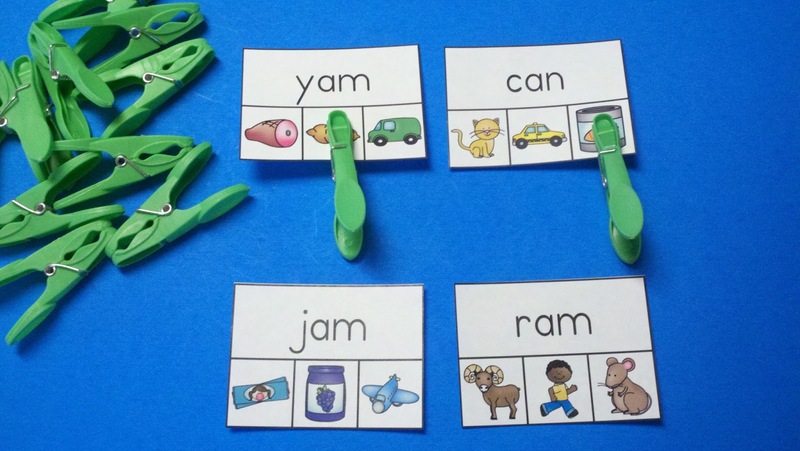 CVC Word/Picture Clip Cards support the ELA Common Core Standards for Phonics and Word Recognition, Print Concepts, Conventions of Standard English, and Vocabulary Acquisition and Use. The graphics used in CVC Word/Picture Clip Cards are from Whimsy Clips, My Cute Graphics, and Totavi Toodles. Thank you for looking at CVC Word/Picture Clip Cards. I hope you and your learners enjoy these activities.